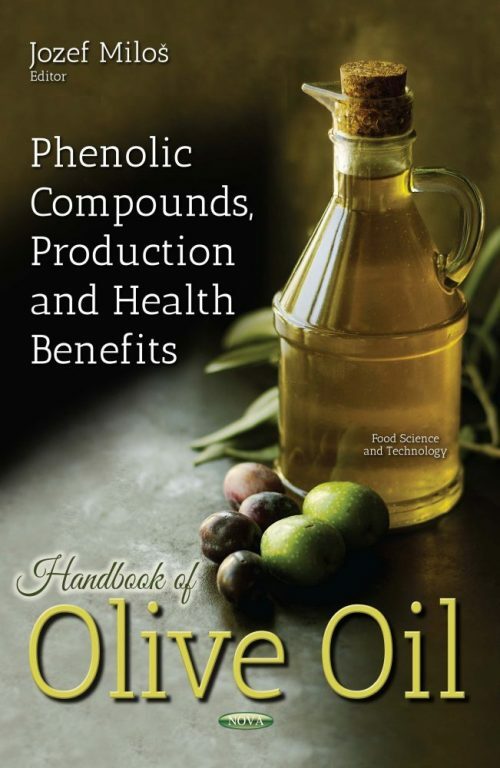 This book examines the latest research in olive oil. Topics included in this book include biomedicinal activities of olive oil phenolic compounds, including antioxidant, anti-inflammatory, antimicrobial, cardiovascular, endocrine, anticancer and central nervous system effects. Also, some insights related to bioavailability and synergistic activities are presented; a summary and critical analysis of the available information about phenolic compounds in VOO; the beneficial effects of phenolic compounds, contained in extra virgin olive oil, which have been reported in the last few years; an overview of different analytical approaches, including the most recent advances, and the difficulties regarding phenolic compounds determination in olive oil; olive oil wastes (OMW) characteristics, bio-valorization potentialities and treatment options with regard to the economic feasibility, environmental regulations and challenges of existing waste disposal practices in olive-growing countries are discussed; the health effects of olive oil, including for the liver; a summary of the knowledge of the in vitro and in vivo effects of oleocanthal comparing, where available; the determinant factors that affect Japan’s olive oil imports; research on oleocanthal and its promising applications as a preventive and/or therapeutic agent for several diseases; and an examination of the organic olive oil sector, demonstrating it’s importance in terms of wealth and economic impact.